What are the best heel lifts and height increasing insoles? Home Page | Height Increase | What are the differences between Heel Lifts and Height Increasing Insoles? My doctor recommended that I wear some heel lifts for my Achilles tendinitis, are these appropriate for this condition? Yes, a pair of our gel heel lifts can help with a number of different injuries including Achilles tendinitis. 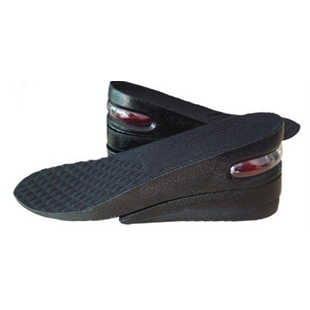 They will help by relieving tension and pressure off the Achilles tendon and support your heel better. Thanks to their compact and lightweight design you will be able to wear them inside any type of shoes you want. For support and protection around the house why not check out our “in-sock height increasing insoles” that will help to ease your Achilles tendinitis without having to wear shoes. Cool Iv always wanted to be taller! I have one question though, will anyone be able to guess that I will have these inside my shoes? 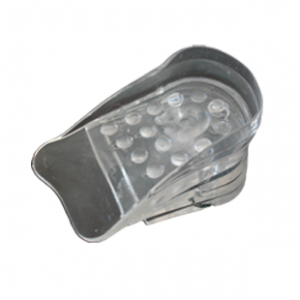 All or our height increasing insoles and shoe lifts have been made to be as discrete as possible and are fitted inside your shoes out of sight and out of mind. No one expect from you will know that you are wearing them! Bought a pair of the heel lifts and just tried them out. Gotta say they exceeded my expectations, they are very comfortable and have helped a lot with my Achilles pain. Thank you!